The Yamaha HTR-6230 is capable of delivering large amounts of reserve power for accurate reproduction of the high energy peaks that are especially prevalent in digital audio sources. This prevents clipping and emphasizes the music's dynamic qualities. This receiver also uses 192kHz/24-bit DACs for all channels. The DACs provide accurate sound field reproduction for high-quality multi-channel sources, and outstanding separation and precise musical delineation for two-channel sources. HDMIs don't pick up sound. Optical cable straight from source to CD optical input does the job though perfectly. Not a major issue for me at all. Very nice receiver. I've always heard that Yamaha is a great Audio brand. This replaced a Sony, and it blows the Sony out of the water. Right now, I have a Boston Acoustics Micro90t speaker system connected. It made of the (1)Micro90c (center channel) (2)Micro90x (front left and right), and a (1)Micro90pv subwoofer. Now the speaker system is about 13 years old, and costs $999, so the speakers are really HQ. 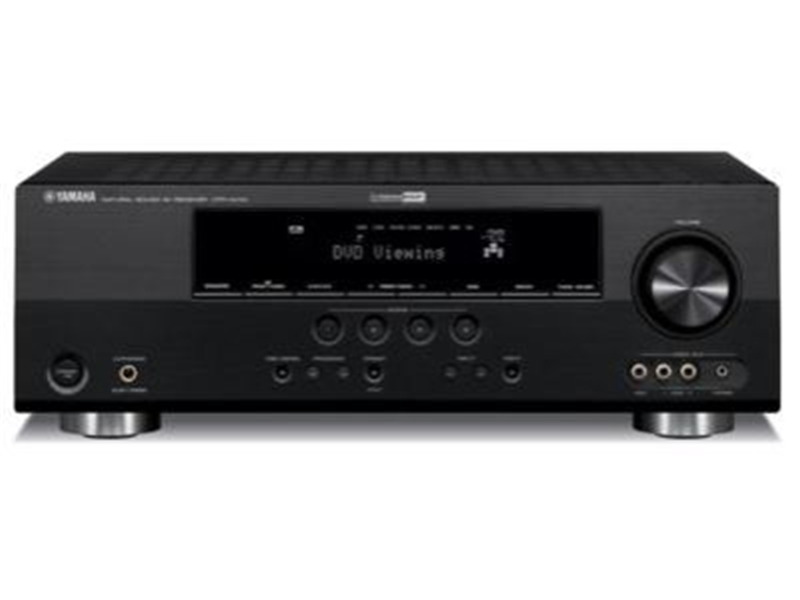 Pair them with this $249 receiver, and you get a great sounding system.Right now, I just have my Sony 5 disc player connected, and will be hooking up my Apple TV (2nd gen) The reason I gave the Yamaha 4 stars was because of HDMI. As you know, I would connect the HMDI cable from the Apple TV to the receiver, and connect another HDMI cable to the TV. Well on a lower end receiver like this, the HDMI ports don't grab the audio, so I need to use a Digital Toslink cable JUST to get the audio. Higher end receivers will grab audio from HDMI, but the lower end ones like this one don't As for what the unit costs, the features, sound, and ports are incredible. This is a GREAT receiver. It packs plenty of power. Even though it claims to have 100 watts er channel, I never turn the volume up that high. The volume never goes higher that -38 db, and it can go up to 16 db. VERY loud.